pmdesign is a creative design agency. 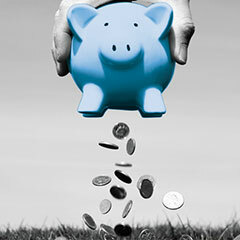 We provide design and marketing expertise to a wide variety of businesses and sectors. 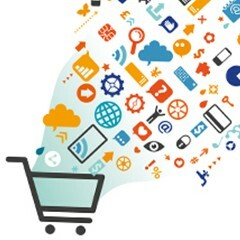 We design and deliver powerful marketing tools for online and offline that will help you win and keep customers. The MFPA partnership is part of an international self-help association of artists who paint without the use of their hands. The British MFPA invited pmdesign to develop a responsive website showcasing their work, artists and their artwork. Prints and gift products can be viewed and purchased directly from the online shop. 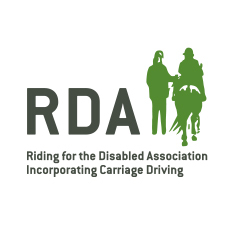 Riding for the Disabled Association (RDA) is a national charity providing access to horse riding, therapy and enjoyment to people with disabilities across the UK. pmdesign developed a structured and user-friendly website for the charity and its users, with easy-to-navigate signposts leading to sections on social media, volunteering, taking part and donations. 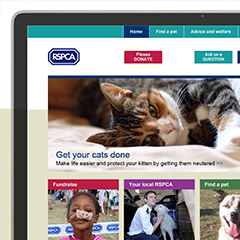 The RSPCA is the leading UK animal welfare charity. pmdesign has developed a series of engaging infographics which are used via social media and online to highlight animal welfare issues. 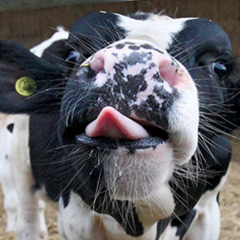 Freedom Food is the RSPCA's farm assurance and food labelling scheme. pmdesign has produced the organisation's annual reports for a number of years, presenting their achievements in farm animal welfare in an ordered and attractive design. 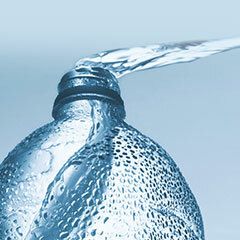 Blue Concept provide business and licence review services to the Intellectual Property community. pmdesign created a visually memorable print and online marketing campaign that was designed to communicate the core message of financial retention and incentivise prospective clients to make contact. Marketing materials included new corporate website with CMS, exhibition panels, stationery and direct mail. VO5 has been the UK's #1 styling brand since 2005. pmdesign were asked to develop a user-friendly website to present the VO5 product range of shampoos, conditioners, treatments and innovative styling products. The vibrant site was aimed at women and designed in a clear and structured way, suggesting various complimentary treatments and styling. The RSPCA is the leading UK animal welfare charity. pmdesign was invited to create engaging, structured designs for a content-rich responsive website. Particular consideration was given to ease of navigation and the flexibility to accommodate a range of content. pmdesign has been involved since the very first issue with this quarterly newsletter for Livewire Communications. Contributing design, identity, photography and illustration, this rewarding project continues to evolve. pmdesign has been involved since the very first issue with this online quarterly newsletter for Livewire Communications – contributing design, identity, photography and illustration. The responsive design can be viewed easily no matter the platform: desktop, iPad or smart phone. RSPCA Assured is the RSPCA’s ethical food label dedicated to farm animal welfare. pmdesign developed a contemporary responsive website with flexible content areas for news, welfare standards, competitions and videos. 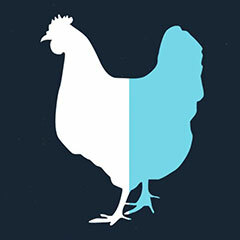 Freedom Food is the RSPCA's farm assurance and food labelling scheme. For the Freedom Food Compassionate Cook competition, pmdesign created a logo, branding and advertising as well as developing an online platform for video entries. Press adverts and online advertising helped to promote the campaign. 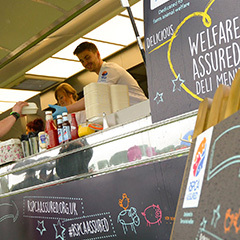 RSPCA Assured farm assurance and food labelling scheme invited pmdesign to develop a fun and inclusive approach for their catering presence at summer festivals and events. pmdesign was invited to develop a colourful contemporary design for this report on innovations in retail industry. 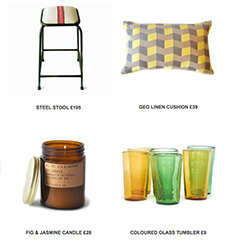 pmdesign deliver email services and web design for Ines Cole vintage originals, luxury furnishings & homeware. Beautifully styled online presence with integrated shopping facility. Stylish and structured brochure for the utilities industry. 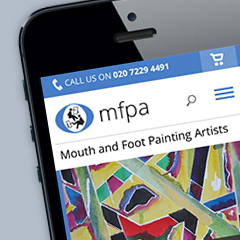 Design and development of a responsive website with online shop to showcase the MFPA, the artists and their artwork collection. Architecture and design for a user-friendly website, creating a useful and easy to navigate resource for both volunteers and people with disabiities. 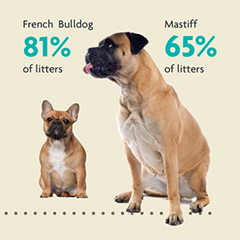 Eye-catching infographics highlight animal welfare facts and figures. 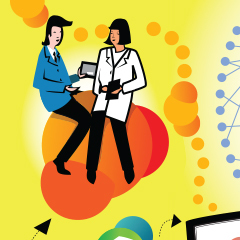 Annual report design, featuring bold use of images, texture and infographics. Creation of a visually memorable marketing campaign promoting the services of this leader in licence auditing. Design, illustration and animation of a promotional video presenting key facts about Freedom Food. Development of a user-friendly website to present the VO5 product range of shampoos, conditioners, treatments and innovative styling products. 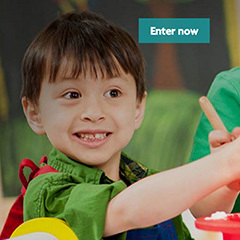 Engaging, structured design and artwork for a content-rich responsive website. Broadsheet sized quarterly newsletter for the food industry. 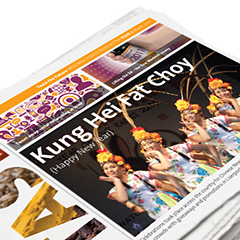 Design and build of a quarterly online newsletter, available in 8 languages. Identity, advertising and online platform for cookery video competition. Development of branded catering caravan and menu boards for festivals and events. Identity and colourful, vibrant design for retail industry report. 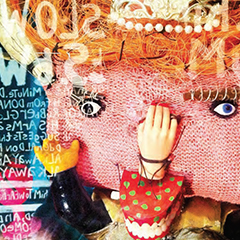 Design and production of 'The House of Dreams' book for artist Stephen Wright. Promotional emails for luxury furnishings & homeware business. Brochure for the utilities industry. Copyright © pmdesign 2018. All rights reserved.